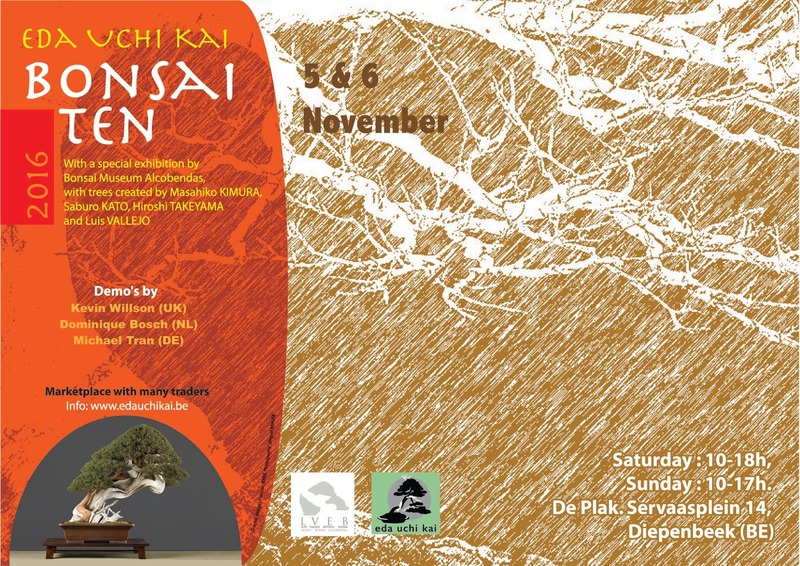 The Belgian Bonsai Club Eda Uchi kai will give its third exhibition, Bonsai Ten, of its members’ trees on 5 and 6 November 2016. 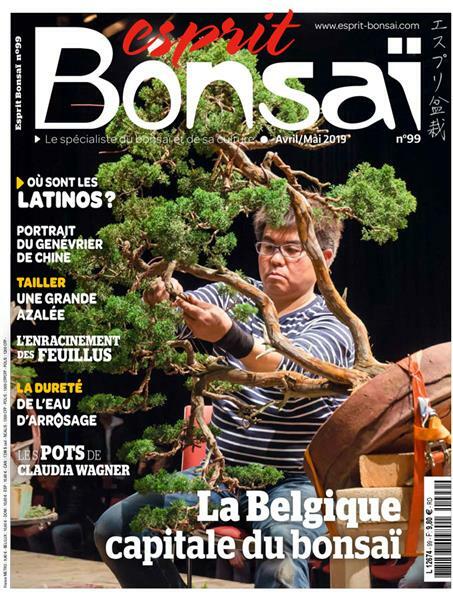 This club’s event should be particularly noted for the quality of the trees to be exhibited – trees from the Alcobendas bonsai museum, near Madrid in Spain, and created by Masahiko Kimura, Saburo Kato, Hiroshi Takeyama and Luis Vallejo. 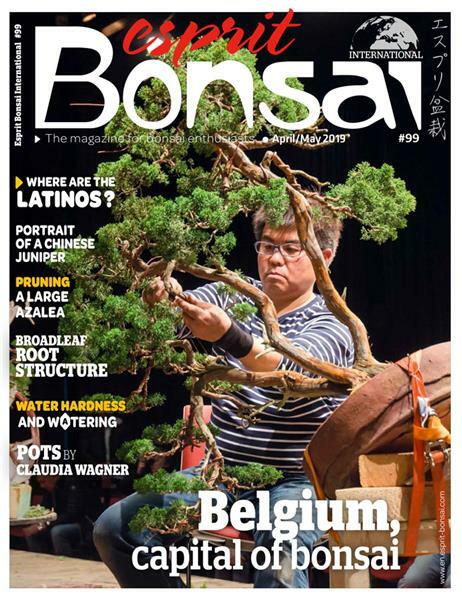 Kevin Wilson (United Kingdom), Dominique Bosch (Netherlands) and Michael Tran (Germany) are the invited demonstrators. There will also be traders’ stands. 10.00 a.m. – 6.00 p.m. – Opening of the exhibition, professional market. 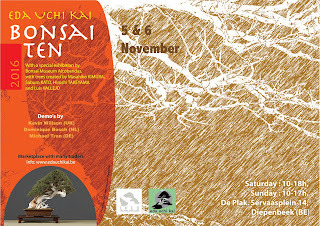 11.00 a.m. – 5.00 p.m. - Démonstrations of Dominique Bosch (NL) & Kevin Willson (UK). Demonstrators’ lunch break, 1:00 - 2:00 p.m.
7.30 p.m. – Gala diner, Blue Oase Hotel, Genk. Sur réservation. 10.00 a.m. – 5.00 p.m. - Opening of the exhibition, professional market. 11.00 a.m. – 4.00 p.m. - Démonstrations of Michael Tran (DE) & Kevin Willson (UK). Demonstrators’ lunch break, 1:00 - 2:00 p.m. Catering. Cakes and sandwiches et sandwiches in the cafeteria. Saturday from 10.00 a.m. to 6.00 p.m.; Sunday from 10.00 a.m. to 5.00 p.m.